The UAE, ranked as one of the most highly spammed countries worldwide for the last 2 years will continue to be a target for cybercrime attacks for businesses and individuals in 2013, according to Symantec security company. The UAE experienced a spam rate of 73 % in 2011, and over the past six months, it has seen a higher percentage of inbound spam in comparison to the global monthly average, Symantec said in a report. “The high-level of spam can be attributed to cyber criminals capitalising on the rapid growth of internet penetration and pirated software,” the report said. Earlier this year, the Norton Cybercrime Report claimed that 1.5 million people became a victim to cybercrime in the UAE in the past twelve months, costing the country millions of dollars in direct financial losses. In 2012, 46% of social networking users in the country witnessed cybercrime on social media networking platforms. “In 2013, we foresee a steady rise in targeted attacks towards governments, companies and individuals with financial and political motivation,” said Justin Doo from Symantec. “In addition to traditional cybercrime, the UAE’s high number of mobile devices per person creates a new avenue for increasingly sophisticated incidents,” he said. 1. Cyber conflicts between nations, organisations and individuals will rise. 2. Ransomware – which infects a computer system and restricts access until a ransom is paid to the creator of the malware – will increase. 3. Greater threat from mobile adware or ‘madware’ that can potentially expose location details, contact information, and device identifiers to cybercriminals. 4. 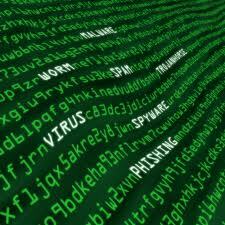 Monetisation of social networks could introduce new methods for cyber attacks. More than ever in UAE, individuals will protect their online connection by choosing a VPN service: it is a smart and cheap way to avoid suffering from cyber hackers and malicious minds. For a low monthly fee, not only will they gain secure online dealings, but they will stay anonymous while being online and what is even more important, they will ensure themselves a private online usage. It is also a great way to increase internet security: VPNs use a virtual firewall type to protect one’s computer but also one’s phone (VPN for iPhone) when being connected online. And VPN services work as a barrier against malicious minds, even when using free Wi-Fi access connection in bars or hotels, for instance.